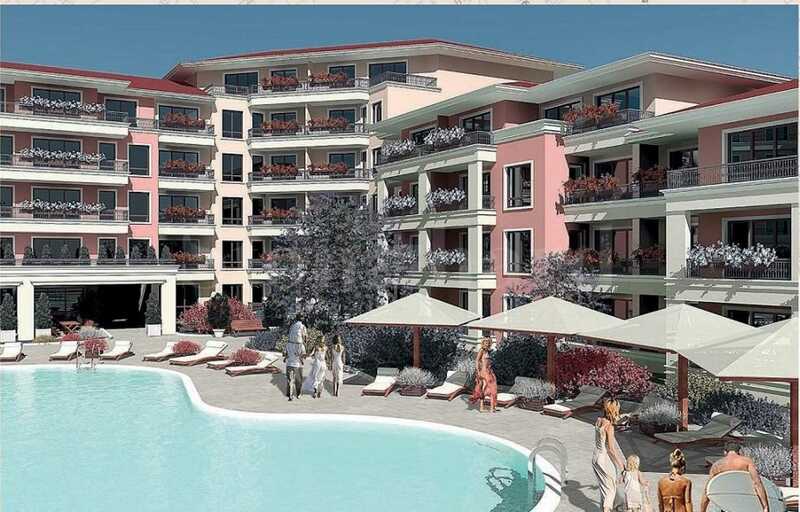 New-built holiday village with top location on the second line in Sveti Vlas. The complex is located in a tranquil neighborhood next to the green park of the former sanatorium. The complex offers easy access to the beach, alleys and quick access to Sunny Beach. The holiday village is designed by 7 sections "A – G". The building consists of 5 floors with ground floor, each block features a separate entrance and a modern elevator, with a small number of apartments per floor. Studios, one-bedroom and two-bedroom apartments with functional layout are offered for sale in a turn-key ready condition with - entrance door and interior doors, PVC joinery, external insulation, walls – latex, flooring - laminated parquet and terracotta. asphalt access to the territory. The construction is at an advanced stage and is expected to be completed in the summer of 2019.